In the city, it’s hard to find enough space for all your personal items, furniture and belongings. If you are planning a move to New York, or just looking for a place to store your items, Moishe’s Self Storage has five convenient locations throughout the area. But we know that not all of our clients have the transportation necessary to move large items. Which is why we also offer free storage NYC pickup within five boroughs! If you rent at least a 5 X 10 foot unit, for at least 3 months, our highly trained NYC movers will move your possessions to your preferred facility absolutely free! Moishe’s Self Storage services a large portion of the NY Tri-State area, with 5 convenient locations in the Bronx, Manhattan, Queens, Jersey City and Long Island City. Moishe is NYC’s premiere storage facility, handling everything from personal items and furniture to fine wine and art. Our customer satisfaction ratings confirm this—Moishe’s Self Storage customers stay with us for an average of 4 years; this rate is higher than any other you’re going to find in NYC. Why are our customers happier with our service? Moishe offers 24/7 access to your unit, in a safe, climate-controlled, secure and clean location. 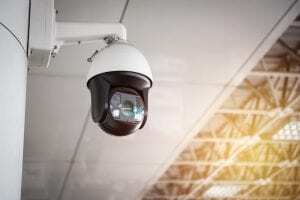 We at Moishe’s Self Storage have round-the-clock security patrols, constant closed-circuit TV recording, top of the line burglar alarms, security checkpoints and the latest technology in fire suppression sprinkler systems. These services all come standard at Moishe’s. You can rest assured your free storage NYC pickup will be transported to the most secure location the city has to offer. 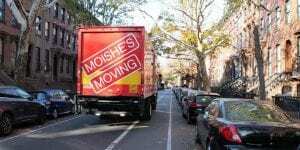 Whether you’re seeking temporary storage in NYC for your items or a more permanent solution to create more space, Moishe’s storage options give you the peace of mind to know your items are safe. We offer storage for personal or commercial use with free storage NYC pickup. What other company will pick up your items for free and move them to storage at no additional charge? Trust that Moishe’s has you covered in terms of convenience and the security of your possessions. Contact us today to view the various storage space sizes we offer at the Moishe’s location nearest you. With 20 different unit sizes to choose from, it’s easy to reserve the smallest space you need to keep monthly costs down. Our account managers are happy to help you estimate what size you’ll need. We have five different self storage spaces in the NY Tri-State area; visit the one nearest you today and view the unit sizes in person.